Cool Tools for : Breakout of Your ThingLink 360! Breakout EDU is taking education by storm! Think of the concept of an Escape Room but modified for education. Students will experience how to work as a team, think critically and problem-solve various challenges applied to any grade level or content area. This webinar will explore how to use various digital tools in conjunction with ThingLink 360°/VR to create your own Digital Breakout activity. Join us live on 2/28 @ 6 pm EST or sign up to receive an archived copy of the broadcast. 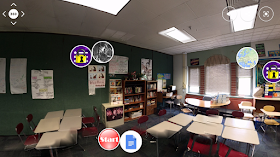 Dan will be launching the ThingLink 360 Breakout Challenge during the webinar. Get ThingLink Premium Teacher for yourself, your team, or your school for 50% off with the coupon code TLBREAKOUT. Offer expires 2/28/17. 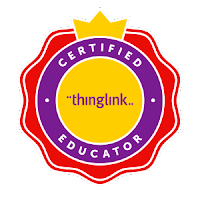 Dan Gallagher is a ThingLink Certified Educator who lives in Central New Jersey with his wife. He's a teacher resource specialist for technology assisting middle school teachers with integrating Chromebooks in the classroom. He has a Master's in Instructional Technology and a Bachelor's in Elementary Education. You can subscribe to his blog at gallaghertech.edublogs.org and you can follow him on twitter @Gallagher_Tech.